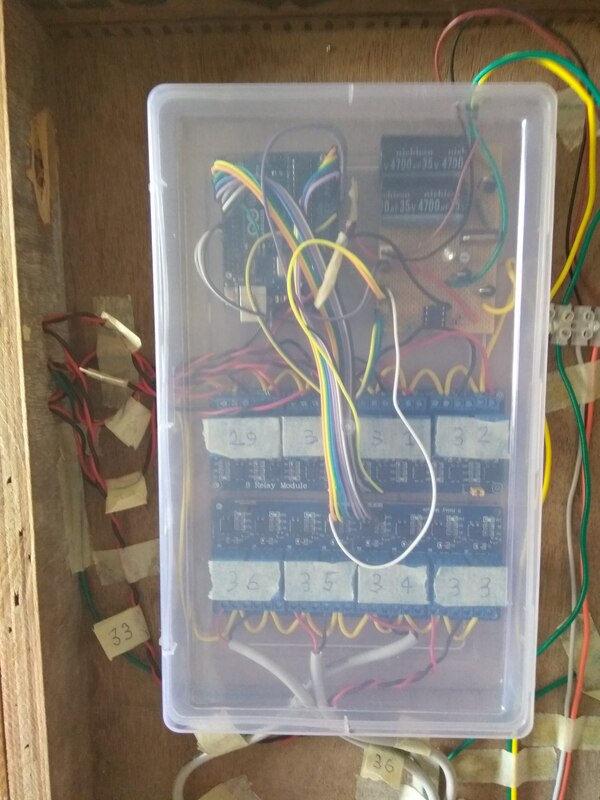 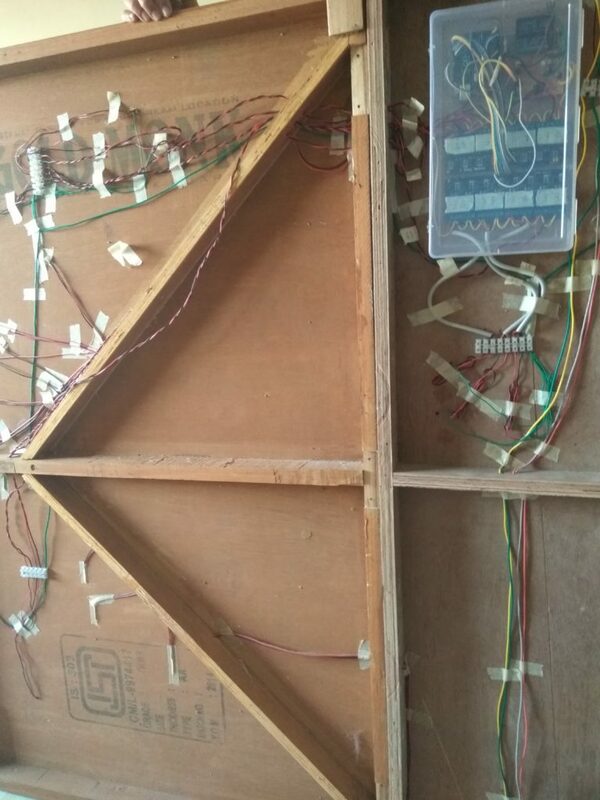 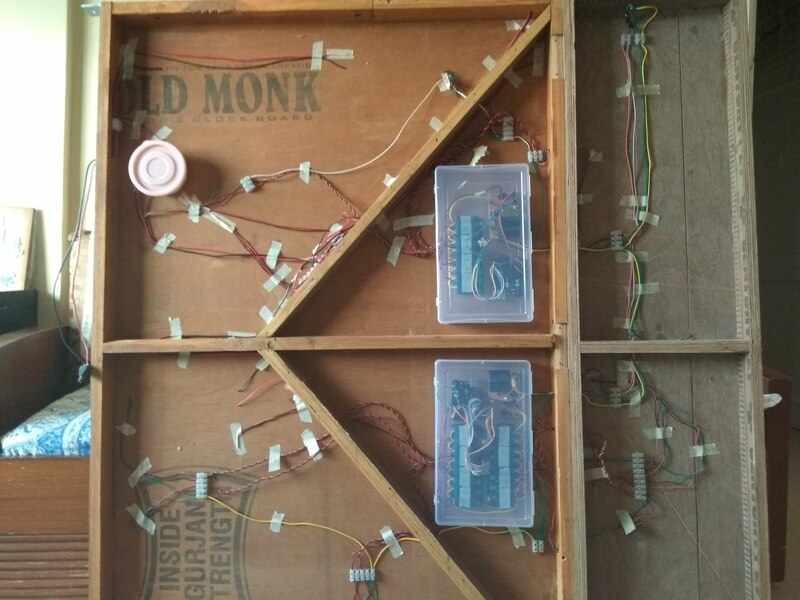 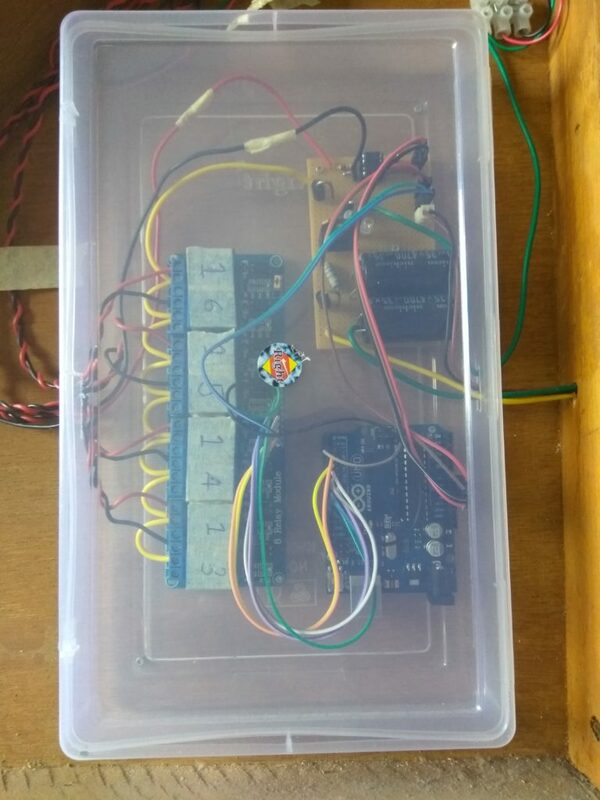 Here’s a project from Viken Sheth that uses the NmraDccAccessoryDecoder_Pulsed_8 example sketch to drive a 16-way Relay Board, to then drive Peco Snap Turnout motors. 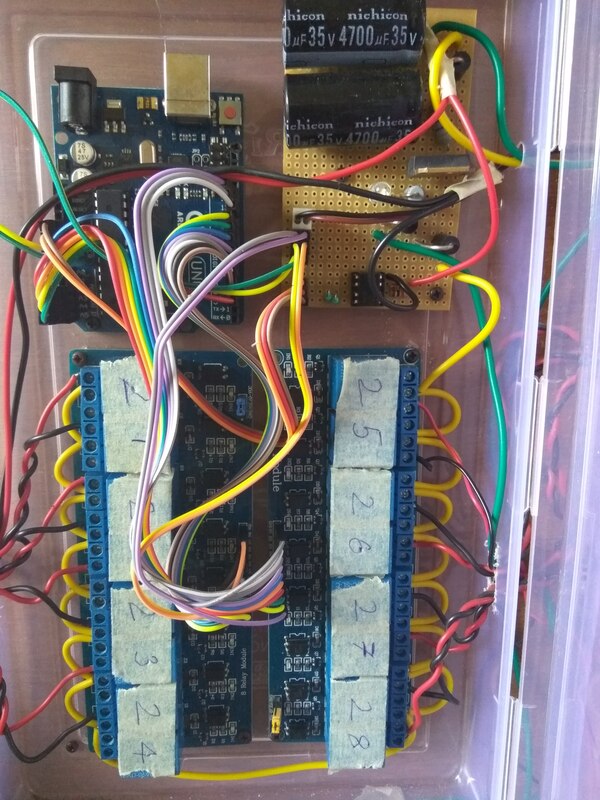 The relays connect the Peco motors to a Capacitor Discharge Unit (CDU) and the sketch logic generates a short pulse to the relays so the Peco motor coils are only connected to the CDU for a short (500ms) time. Here are some photos of his installation.